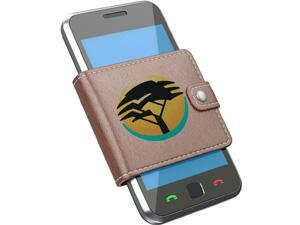 FNB continues to see a steady rise in the number of women using eWallet. The latest data from First National Bank's (FNB's) eWallet Solutionsreveals that in the six months to June, the percentage of eWallet sends by male users was 62%, while sends by female counterparts increased to 38%. Sandi Madikiza, CEO of eWallet Solutions, says while the gap is still relatively large, the bank continues to see a steady rise in the number of women who are making use of eWallet on the FNB App to send and receive money. FNB did not give an indication of how much money was sent during that period but between September and December 2016, the eWallet recorded a 30% increase in money sent to recipients, growing from R800 million to R1.1 billion. At the time, it said it expected R1.5 billion to be sent via the eWallet service by December 2016. The eWallet is FNB's mobile money service that allows banking customers to send money to individuals with an active mobile number. The money can be withdrawn directly from an FNB ATM or from select retail stores. "The gap in eWallet sends between female and male could be influenced by a number of social and economic dynamics; however, closing it is very important for financial inclusion. We expect the increasing adoption of smart technology to play an important role in closing some of these gaps, which to some degree serve as an indicator of where we are in terms of financial inclusion," says Madikiza. His view is consistent with the findings of the 2017 research by the Boston Consulting Group, titled Improving Financial Inclusion in South Africa, which found that embracing technology-enabled solutions is one of the factors that is vital in addressing financial inclusion. In SA, the cost of data has been one of the barriers to rapid digital migration and FNB says the fact that major banks are zero-rating their apps is a massive boost for consumers. FNB recently announced its move to zero-rate its banking app across all major networks, stating that data should not be a barrier to convenient and safe banking. "The future is mobile," says Madikiza. "The manner in which people manage and move money will be heavily influenced by the technology they have at their disposal."